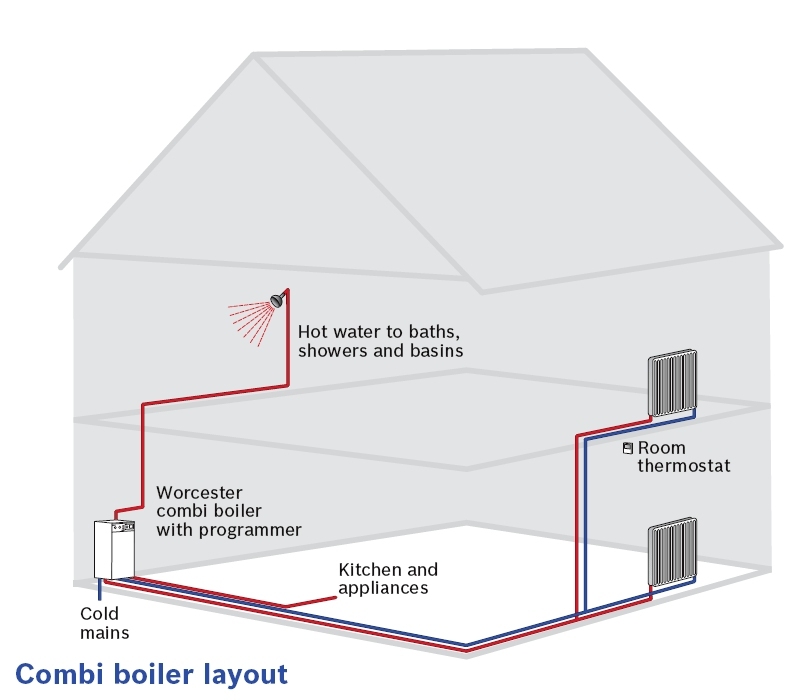 A 'combi' or combination boiler is a high efficiency water heater and a central heating boiler combined (hence the name) within one compact unit. Water is heated directly from the mains eliminating the need for a hot water storage cylinder and the associated cold water storage cistern in the roof space. Because your hot water is delivered to your taps or shower at mains pressure it's very convenient and can save on your hot water costs. As an added benefit, showers from a 'combi' can be comparable with the performance of a power shower. So a 'combi' can also give you a little extra room to play with, making it ideal for a flat or a bungalow with very little or no roof space and it's also the right choice if you want to use your loft space for a room conversion. Another 'combi' benefit is that it can generally save you money on installation time and costs as well as installation materials.